The Final Nail in the Mainline Coffin? Let me say–“I am a traditionalist.” There. Now that’s out of the way. You know where I stand. I have been reluctant to comment on the current state of affairs in the United Methodist Church as we head into the special called session of General Conference scheduled for St. Louis, February 23 – 26, 2019. The special session was called by the Council of Bishops after the 2016 General Conference for the purpose of dealing (definitively?) with the issue of “full inclusion” of LGBTQI+ individuals in the life of the church. The debate centers primarily on the issues of same-gender marriage and the ordination of self-avowed, practicing homosexuals. There are several reasons I have not commented (at least not very publicly). For one, I serve a diverse congregation, and discretion being the better part of valor, I want to be able to be a pastor to everyone no matter where they lie along the spectrum from traditional to progressive. Another reason I’ve been reluctant to comment is my own acknowledgement that I could be wrong. After all, I’m “Not the Perfect Pastor,” so my imperfections do tend to get in my way. My prayer for 20+ years has been, “Lord, change my heart if I’m wrong.” Being the traditionalist I am, I believe God actually hears and answers prayer, so I continue to pray, but as of this writing, the Lord has not answered this prayer (at least in relation to the presenting issue facing the UMC). I also know that there is still more for me to learn. I take to heart the advice Jordan Peterson offers in his book 12 Rules for Life. Rule # 9 states, “Assume that the person you are listening to might know something you don’t.” If I offered too many comments, I might have to walk some of them back, and being of the male species, I don’t like to walk statements back. Yet one more reason I’ve been reluctant to comment is the fact that there really hasn’t been enough information to have an informed conversation on the matters before us. Prior to July 8th about all one could say is “We really don’t know what the possibilities are at this point.” Everything until that point was pure speculation (although there is still much speculating to be done), and I figured why confuse the conversation or risk upsetting people dear to me if I couldn’t have an informed conversation. Besides, I have numerous colleagues with whom I disagree on the issue of same-gender marriage and the ordination of homosexuals, and I dearly love them. I have no desire to have our relationships broken because a speculative conversation devolved in to name-calling and accusations. Not worth it! Then, of course, there is the issue of giving my focus to the work of the congregation I serve. As an alternate delegate to General Conference, it is very easy to get distracted by all the information, blogs, speculation and social media posts concerning the future of United Methodism. Yes, we are a connectional church, but at the end of the day, I’m appointed to a local congregation, and the mission of the United Methodist Church (to make disciples of Jesus Christ for the transformation of the world) gets carried out in the local congregation. People’s lives will be transformed in and through the local church. That is my primary focus. Now that sufficient information has been made available and petitions filed with General Conference, it’s time for me to weigh in on the situation we United Methodists find ourselves in. Many people have asked my thoughts over the past few months, so I figured this medium is the best way to communicate to the broadest number of people. I know a post such as this will get feedback, both positively and negatively, and I’ll probably get called a few names if I don’t take the position that someone thinks is the correct one. But, I suppose I will take that chance. February will soon be upon us and the conversation can no longer be avoided. 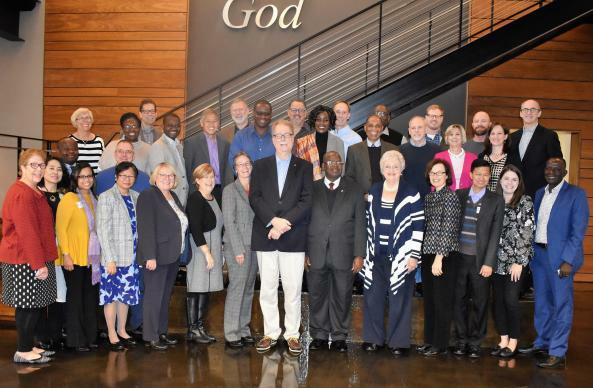 The Commission on a Way Forward was appointed by the Bishops subsequent to the 2016 General Conference to “do a complete examination and possible revision of every paragraph of the Book of Discipline concerning human sexuality and explore options that help to maintain and strengthen the unity of the church.” The Commission completed its work and submitted its report to be translated for General Conference. 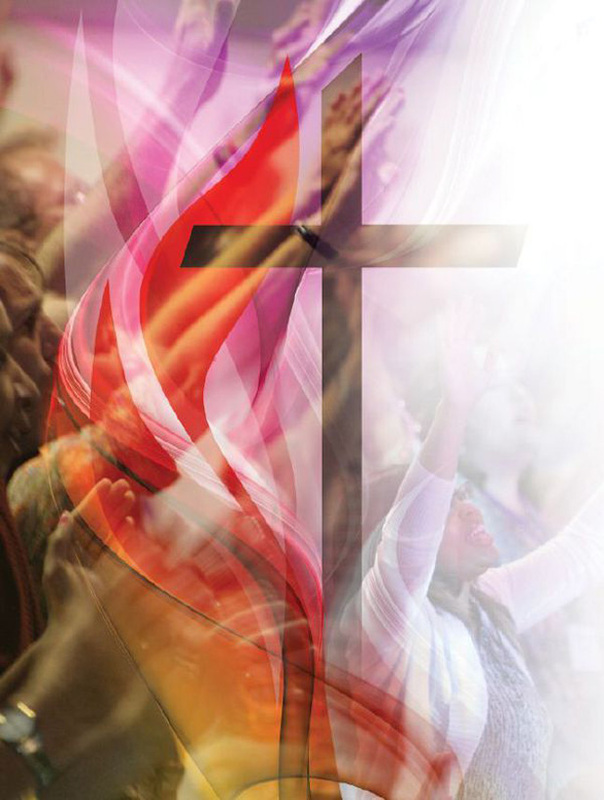 The report includes three possible ways forward for the UMC. The Traditional Plan, the Connectional Conference Plan and the One Church Plan. I’ll unpack each later in the post. The Council of Bishops has recommended adoption of the One Church Plan. That is their preferred future for the UMC. Initially, the bishops sought to direct the debate of General Conference, but after a challenge before the Judicial Council, the Judicial Council ruled that any United Methodist with standing could submit legislation to General Conference. That means, obviously, there will be a plethora of legislation presented to General Conference. As a side note, the bishop’s recommendation was moved to a footnote in the report. The General Conference is slated to last four days. With a plethora (I’ve used that word twice!) of legislation, the work will be daunting, and the reality is it may not get done at all. Historically, the work of the General Conference begins with adopting the rules of order. There may be a four-day fight on the rules and the Conference may never get around to doing the actual work. Can you imagine having two years of conversations and meetings, and spending millions of dollars to accomplish nothing? That’s exactly what could happen. Other than a significant waste of time and money, nothing happening would not be the worst thing to happen (in my humble opinion). The status quo would remain, which means the Discipline would not change (of course, neither would the current lack of enforcement). The proverbial can would get kicked down the road to General Conference 2020. Speculation? There will be some laity, clergy and congregations who depart out of sheer frustration, and the United Methodist Church would be weakened. It would also break my heart. One thing that could happen even before February is the Judicial Council could rule one, two or all three plans included in the report as unconstitutional. The Council of Bishops has asked for a declaratory decision on the constitutionality of the three plans. If all three plans are declared unconstitutional, there would be no work for the Conference to complete. I suppose it would be cancelled, still costing an unknown amount of money and kicking the can down the road. There will be some laity, clergy and congregations who depart out of sheer frustration, and the United Methodist Church would be weakened. It would also break my heart. The Traditional Plan retains the current language in the Book of Discipline that states all persons are “of sacred worth, created in the image of God” and also states that the practice of homosexuality is “incompatible with Christian teaching.” The Traditional Plan dramatically enhances accountability to the church’s requirements and closes many of the loopholes currently being used to avoid accountability by those who, in practicing “biblical disobedience,” conduct same-gender weddings and ordain “self-avowed, practicing” homosexuals. At the same time, the Plan offers a gracious exit for annual conferences, congregations, bishops, and clergy who cannot in good conscience abide by the church’s historic standards. This plan has the best possibility of passing General Conference (again, in my humble opinion) simply based on the votes of previous General Conferences in similar matters. It will likely be supported by evangelicals, southern delegates and the delegations from the Central Conferences (outside the U. S.). The groups together constitute a majority. I won’t bore you with every single detail of the Traditional Plan. For a more comprehensive treatment, my colleague Thomas Lambrecht has an article here, or you can read the legislation by clicking here. I am a supporter of the Traditional plan because it maintains our current position which I believe is grace-filled even if it doesn’t sound like it in this 21st Century shifting culture. I believe it remains faithful to the biblical witness and to 2,000 years of church history and tradition. It also remains faithful to almost every cultural understanding in the world of marriage as being between one man and one woman. There will likely be some people who depart the United Methodist Church should the Traditional Plan pass, but they would likely be fewer in number. Many of the most progressive leaders in our denomination have stated they will not depart under any circumstances. Of course, that means acts of disobedience would continue, so it is a realistic possibility that the Plan would ultimately be ineffective, in which case, laity, clergy and congregations would depart out of sheer frustration, and the United Methodist Church would be weakened. That would break my heart. The Connectional Conference Plan is perhaps the most confusing of the three. The plan as proposed would do away with our current five jurisdictions and replace them with three “Conferences” aligned along theological perspectives. There would be a traditional Conference (maintaining the current Disciplinary language), a progressive Conference (ordaining homosexual clergy and performing same-gender marriage) and a centrist Conference (each did what was right in their own eyes). Each of the three conferences would continue to operate under the umbrella of the United Methodist Church, and as I understand the legislation, each Annual Conference would choose to align with one of the Conferences. Each would continue to share some doctrinal standards, missions work globally and administrative infrastructure (think General Boards and Agencies here). If a local church did not want to affiliate with the Connectional Conference chosen by its Annual Conference, it could vote to become a member of one of the other Conferences. Clergy would have the same option, but would be obligated to abide by the standards of the chosen Conference. If I understand the legislation correctly, the Bishop and Cabinet of the Annual Conference will still control the appointive process. I’m not sure how that would work, but that’s what it says. Consideration for re-affiliation would be provided every four years. As for bishops, the current Council of Bishops would be retained with each Connectional Conference having a College of Bishops composed of those bishops who chose to affiliate with each Conference. They would continue to lead in ecumenical relationships and in oversight of the administrative agencies of the Church. Funding for bishops inside the U. S. would be provided by each bishop’s respective Connectional Conference, and bishops outside the U. S. would be supported by the umbrella organization. Confusing, huh? Each Connectional Conference would adopt its own Book of Discipline starting with the Articles of Religion, Doctrinal Standards, Confessions of Faith and General Rules. Everything else would be contextual to the particular Connectional Conference. Still confusing, huh? Again, for the full plan you can click here and read the enabling legislation for yourself. I wouldn’t recommend it unless you’re a legal nerd. I believe this is the most impossible plan offered. It would take up to six years to implement and the passage of five constitutional amendments. Does anyone realize how hard it is to pass a constitutional amendment in the United Methodist Church? Each amendment requires a two-thirds vote of the General Conference and a two-thirds vote of the aggregate members of each of the Annual Conferences voting. What it really means is this plan isn’t likely to gain any traction in 2019 (assuming that GC 2019 gets around to voting on any plan). The confusion created should this plan be adopted would likely lead to many laity, clergy and congregations departing out of sheer frustration and the United Methodist Church would be weakened. Heart-breaking, no? The One Church Plan as proposed would remove the “restrictive” language (some have called it “hurtful” language) in the Discipline as it refers to the practice of homosexuality, and would change the definition of marriage from “between one man and one woman” to being between “two adults.” Additionally, each Annual Conference Board of Ordained Ministry would be allowed to determine its own ordination standards as it relates to human sexuality. Likewise, bishops are not required to ordain or license homosexual persons in violation of their conscience, but it does make provision if the Annual Conference has opted to ordain, for another bishop to ordain the individual in that bishop’s stead. It does not, however, protect a bishop from having to appoint a clergy person that he/she believes to be unfit for ministry. The Plan does include provisions that prevent a bishop or District Superintendent from retaliating against a clergy who refuses to violate her/his conscience. I’ll not go into greater detail about the One Church Plan. I’ve linked to the entire plan in a couple of different places already. Read it at your leisure (or at your peril!). I will tell you why I think this plan is untenable. Proponents of the One Church Plan (including the Council of Bishops–though not every Bishop agrees) believe it is possible for those who disagree on issues of human sexuality to peacefully coexist in one denomination. I think nearly 50 years of continuous debate over the issue proves that theory incorrect. Proponents of the plan see human sexuality as a non-essential. Opponents of the plan disagree greatly, and based on the conversations I’ve had, are not likely to change that understanding. Adopting the One Church plan will accomplish one thing: It will remove the debate from the General Church level. What it will do, in the alternative, is take it down to the local church level where each local congregation will have to determine and debate its own understanding of human sexuality, thus increasing the conflict in the denomination rather than lessening it. The One Church Plan would also weaken the understanding of what it means to be United Methodist. Well, it would just set up a situation where neighboring UM churches could have differing standards–UM churches in the same town…on the same street, for heaven’s sake! Talk about brand confusion (forgive the secular marketing reference, but…)! We can call it the One Church Plan, but it does, by default, create two (or more?) churches with its implementation. It is, at best, a false unity. The One Church Plan makes me ask the question, “If we can choose our standards on human sexuality, why can’t each local congregation (or clergy) choose their own standards on baptism or communion?” Seems to me to be only one of the Pandora’s boxes we open with the passage of the One Church Plan. All this, and I haven’t even mentioned the fact that this Plan disregards the historic, biblical understanding of marriage and sexuality, and puts the United Methodist Church firmly outside the broader global community of the body of Christ on the issues of marriage and human sexuality. Do we really want to do that? If the One Church Plan passes GC 2019, it will precipitate the departure of many evangelical, traditional members (both lay and clergy) and congregations for whom the issue of human sexuality is a non-negotiable. Their departure will weaken the United Methodist Church, and that breaks my heart. This has become a long blog (I apologize), so I will only briefly mention a few other considerations involved in the debate. Bishop Bruce Ough has rightly discerned, “Let’s be clear, if we divide, nearly all our essential unifying institutional activities would be lost or severely diminished.” Our UM institutions will be harmed, and the future of many will be uncertain–some will, in fact, cease to exist. Our global mission partnerships will end or be financially limited. Pension obligations may go unmet (especially pre-1982 pensions [Methodist nerds will know what that is]), and that would be devastating to countless faithful clergy. Property fights would ensue, diverting precious resources away from the mission of making disciples of Jesus Christ for the transformation of the world. I contend that each of those things will happen regardless of which plan is passed. Perhaps not on the scale of a full-blown dissolution, but harm will come nonetheless. The decline of the mainline church in North America is well documented, and while our denomination is growing globally, membership and attendance continues to decline in the U. S., and has since I entered vocational ministry in 1991. Ed Stetzer wrote a piece in 2017 noting that unless something happen, mainline Protestantism has a mere 23 Easters left. My heart aches as I consider the possibility that General Conference 2019 will hasten that decline, and will serve as the final nail in the mainline coffin (at least in the U. S.). United Methodism is still the largest of the remaining “mainline” Protestant denominations, and the singular one which has not yet embraced the ordination of LGBTQI+ persons or same-gender marriage. Only the Traditional Plan will (ostensibly) prevent this from happening, but even if it passes, the UMC is likely to come out bruised and weakened. Regardless of what happens February 23-26, 2019, in St. Louis, everything will be different in the UMC on February 27th. At least, that’s my speculation. Alarmist, you say? Negativity? Hyperbole? Divisive? Well, I prefer the term realistic. I don’t want our church divided. I don’t want to see our congregations diminished. I don’t want the United Methodist name to be tarnished. I don’t want to break fellowship with sisters and brothers with whom I’ve traversed the highway of ministry. Each of those possibilities break my heart. Yet, I am not one who is without hope. I do believe in miracles, and I am praying for a miracle to happen in St. Louis. I believe God has the power to work a miracle among the people called United Methodist. The problem doesn’t lie with God’s ability, but rather with our openness to the move of the Holy Spirit among us as the work is done. So, I pray that all our hearts will be open to what the Holy Spirit desires to accomplish in us and through us during that time. In the meantime, I’m going to focus as much effort as I’m able to reach the lost in the community around me. I’m going to look to the future with plans for continuing ministry to the broken among us. I’m going to do all I can do to make disciples of Jesus Christ for the transformation of the world. That mission hasn’t changed. Even still, I’m not without hope. Should February 2019 drive the final nail in the mainline coffin, I am certain the work of the Kingdom will continue. God is in the resurrection business, and we all know there has to be a death before there can be a resurrection. Well written and well thought out as us realists can be. I however have very little hope in the future of the UMC. As a tradionalist I would pray for that miracle in February but I remember the passage where the power of Jesus was minimized by the lack of faith in his hometown ( those who should know Jesus best- the church folks of today). All I know is that the Kingdom of God does not depend upon one group of people. I wish you well in your ministry. The cloud over the head of the UMC was part of my early retirement. Thank you for a thoughtful, well written response. I’m sharing it. Very nicely done, Lynn. As always, I appreciate your thoughtful leadership of our church. Keep up the good work. As a Traditionlist also, this is also the direction I am being lead after much reflection and prayer! We who serve the church realize that congregations live and die, some longer than others. Perhaps we should realize that Denominations do also. But God’s church is eternal. As one from another mainline denomination (Lutheran) with colleagues within the UMC, my heart aches for all of you in the midst of this. There is no good solution, from a human perspective. However, we do serve a God who is beyond our perspective, and His church will be there, until the end of time. Hold onto that hope! Well written and thought out Lynn. I dread Feb. 27th, but I know God is in control of the Kingdom and is in the miracle business. I pray that I and my congregation may stay faithful to God no matter what happens! Thank you for poring out you heart for your congregates and your seeking to offer Christ to a lost world! Amen. There is one thing being overlooked in all of these discussions and that is the spirituality of the church. At one time the UMC was taken a more serious study of the sacraments (marriage is not a sacrament) but that work was overshadowed by this struggle. At one time the UMC’s missions network and projects were transforming communities all over the world? Where are our building teams in a Puerto Rico now? While this issue should never be considered insignificant, the truth is this issue is making many other critical aspects of our church less significant! Well written, Lynn Malone. I agree your words. Represent all of us well. I think it would be a big mistake for GC2019 to approve the traditionalist plan, because this would put the church in the hands of the fundamentalist groups, the charismatic movement and the great weakness that accompanies this worldview, namely its religious exclusivism. An even greater error would be committed if the Assembly votes for the plan of a single church, because then the ultra-liberals would rise up with the whole church and gradually displace the conservative groups and their spiritual vitality, making the UMC a Christian brand caricature progressive. That’s why the middle way of the 3 super conferences encourages me. In truth, it seems to be the most tortuous road or what the “confused” pastor calls him. It could be true, but even so it is the only option where we think and let think. I also think that the owner of the harvest can work with his Spirit, leaving in his place the wheat and the cizana, so that in a time of reflection the whole church can see his brothers walking in a parallel lane although united to the same name. and be able to make decisions more considered than the division. The one I think would be a lot worse.